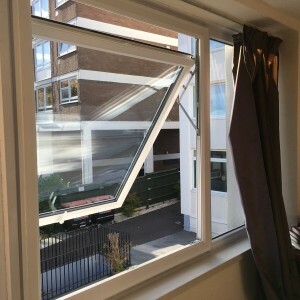 There are various types of window hinges that can be used with plastic (uPVC) and Aluminium windows. 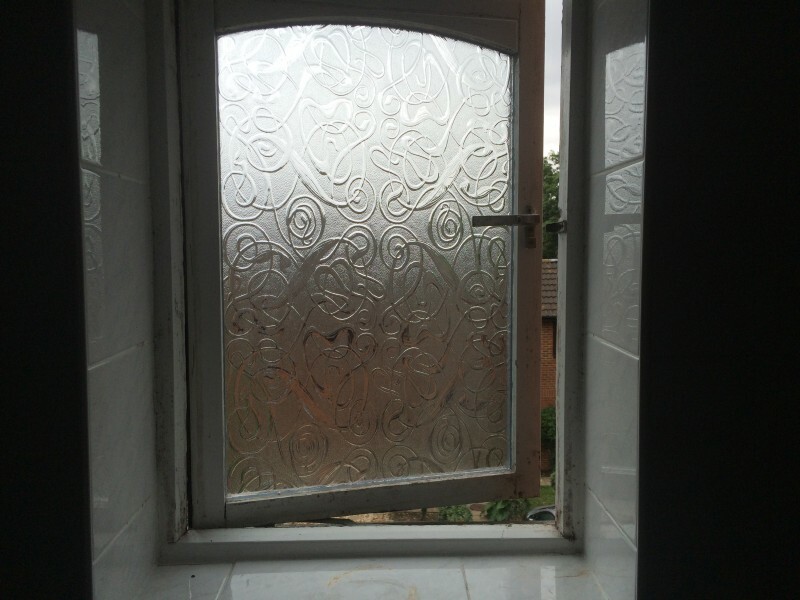 1st Call Glazing stock different sizes of top hung and side hung hinges. 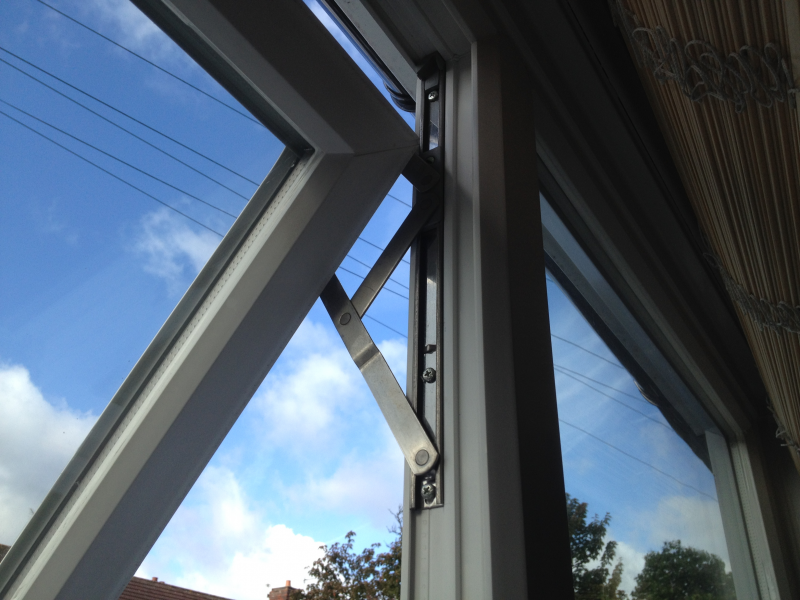 The pictures above show a couple of the new standard types of hinges, also know as hinge stays. 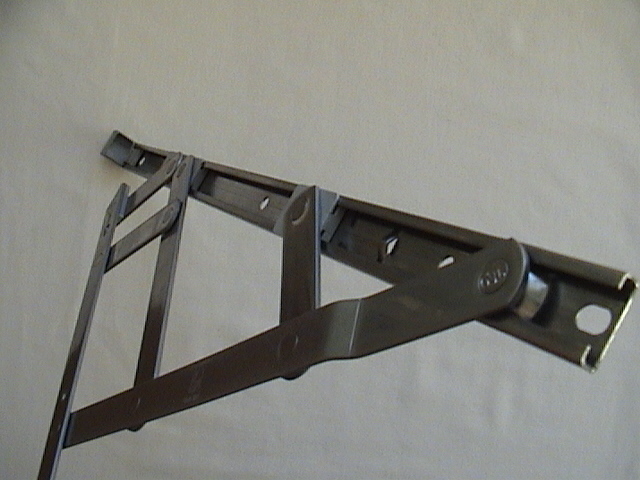 The picture above shows a gap between the PVC opener and the frame. 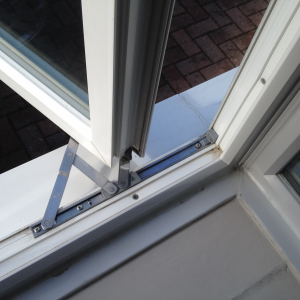 This is due to wear and tear in the existing hinges, that are no longer pulling the opener tight into the frame. 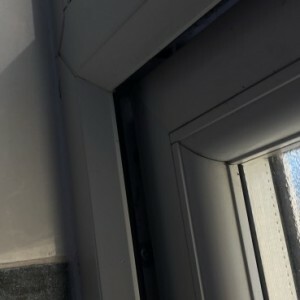 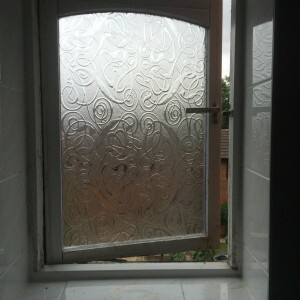 In most cases hinges need replacing if the window can’t be closed without a gap showing. 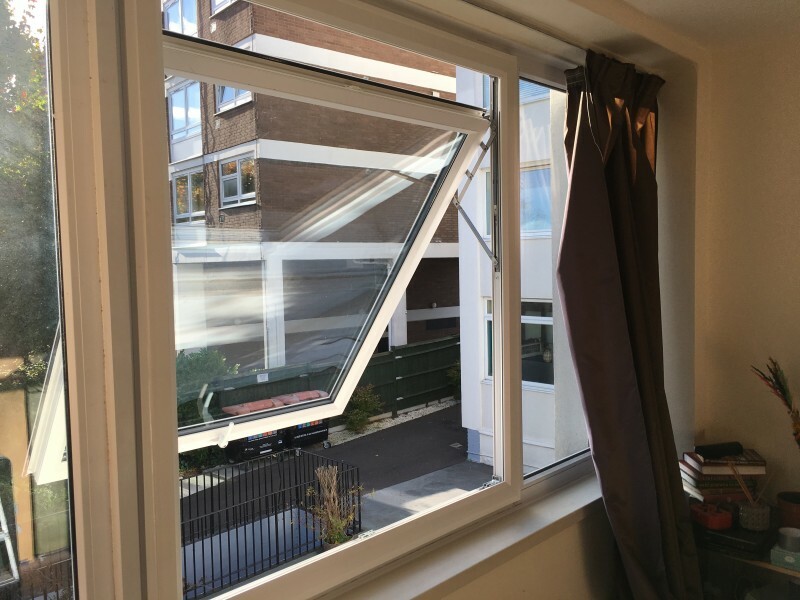 This issue can also cause the window lock to be out of line, so opening and locking the opener can be difficult. 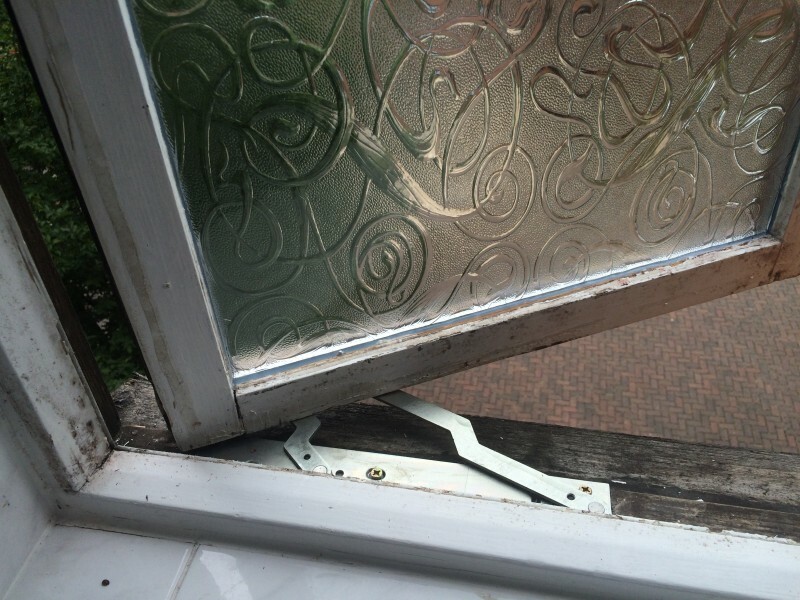 Fitting new hinges usually rectifies these problems. 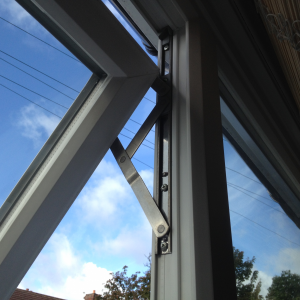 1st Call Glazing also stock special design wooden window hinge stays, as shown in the picture above. 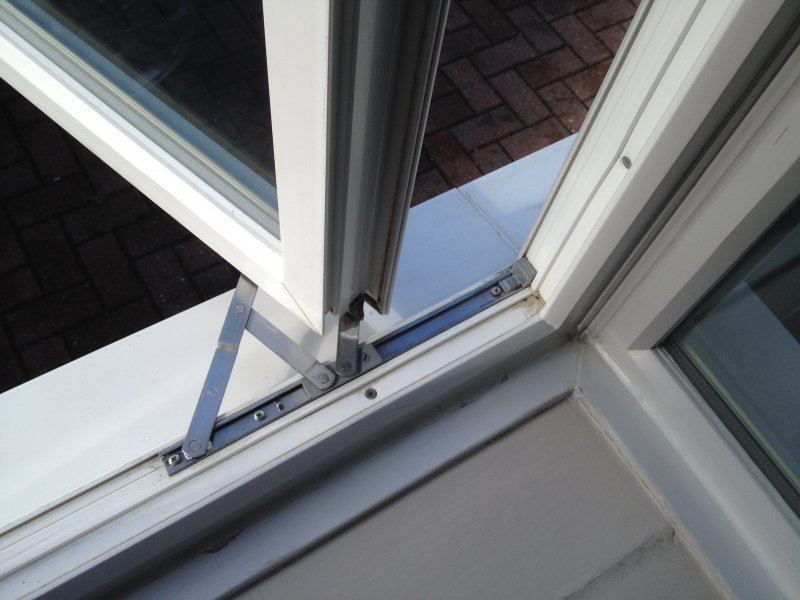 These type of hinge stays are used on some wooden frames and are a thinner design to the PVC hinge stays. 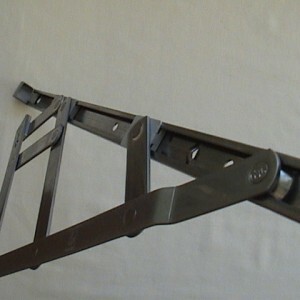 This thinner design hinge can also sometimes be found on aluminium frames . 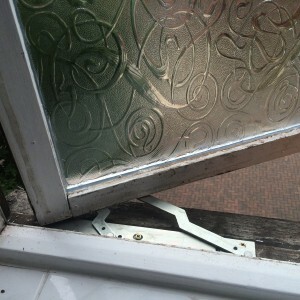 So attempting to replace these thinner hinges with PVC hinge stays wouldn’t work.